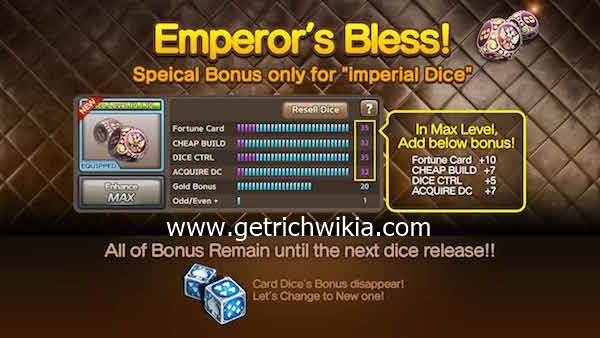 Special Bonus only for ‘Imperial Dice’! In Max Level, Add Below Bonus ! when use Odd/Even Item, Get 1 more chance FREE! All of Bonus Remain until the next dice release !! Card Dice’s Bonus disappear ! Let’s change to the new one ! เมื่อใช้ไอเทม คู่/ คี่ ได้โอกาส เพิ่ม 1 ครั้ง ฟรี! ระยะเวลากิจกรรม: 2 มิ.ย.15:00น. - 5 มิ.ย. 15:00น.